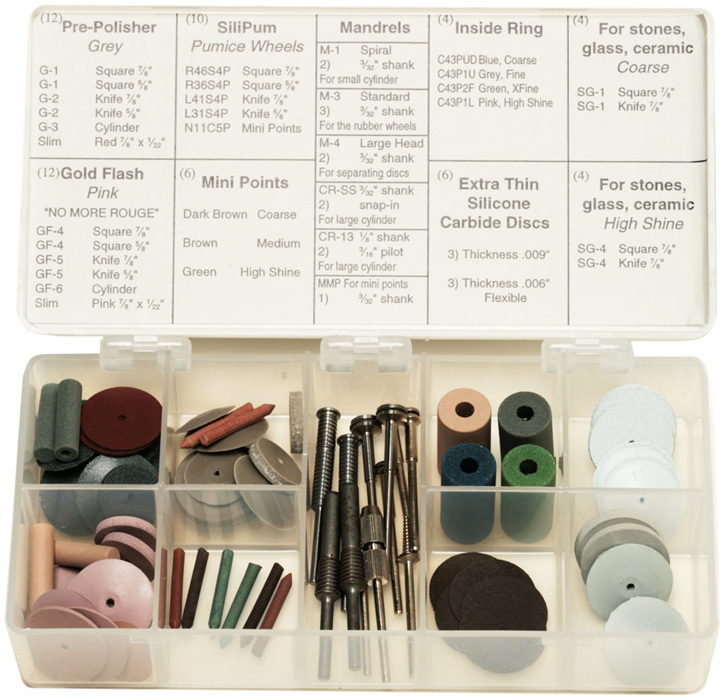 Our most complete kit for jewelers. Includes all polishers in all shapes and sizes. Includes pre-polishers, high-shine polishers, non-precious polishers, 3 minipoints, inside ring polishers, ultra-thin cutting discs, silipum polishers, polishers for stone and glass, a full assortment of mandrels.